There are several amazing casinos in Monte Carlo, as you would expect from a resort that has traditionally rivaled Las Vegas as the quintesential home of the casino, but there are two that stand out for the level of historic interest they offer. 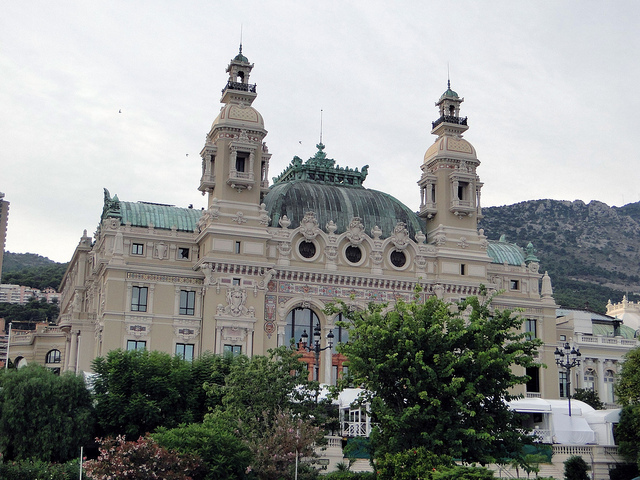 Both the Casino de Monte Carlo and the Casino Café de Paris rank amongst the world’s oldest casinos, and both boast the sort of history that can make them appealing even to those who aren’t particularly interested in slot machines or table games. The Casino de Monte Carlo is probably the single most famous casino there, and boasts historic ties to the resort’s ruling family – the House of Grimaldi. It was the wife of Prince Florestan the first, Princess Caroline, who had the idea for a casino – believing the revenues would help the family with its financial troubles. It took years, the emergence of Francois Blanc as manager and the creation of the Societe des Bains de Mer for the Casino de Monte Carlo to really take off, but it gradually became a significant contributor to Monaco’s economy. It also became part of popular culture, as Ian Fleming chose it as James Bond’s favored casino and it was used as a location for films like Casino Royale and Ocean’s Twelve. In terms of historic interest though, it is genuinely challenged by the Casino Café de Paris, which was also built back in the mid-19th century. Indeed the resort actually became known as Monte Carlo (which translates as Mount Charles) around this time, in honor of Charles the third. At the time of its creation by Blanc (1865) the Casino Café de Paris was considered the last word in opulence and luxury, and this remains the case in the present day, but visitors now will find modern interiors and cutting edge gaming – alongside wonderful restaurants. The Casino Café de Paris is especially notable for its slot machines, but both of these casinos are places that no one interested in the historic casinos will want to miss. If all this talk about gaming and casinos has got you in the mood for playing some games then Click here and enjoy either Poker, Roulette etc.